In this age, medical practitioners have devised several treatment routines that do not involve the use of processed medicines. This is a positive thing owing to the apparent disadvantages of the prolonged use of manufactured medicinal products. One of the treatment programs that has grown increasingly popular since its invention back in the early 20th is the use of pilates. 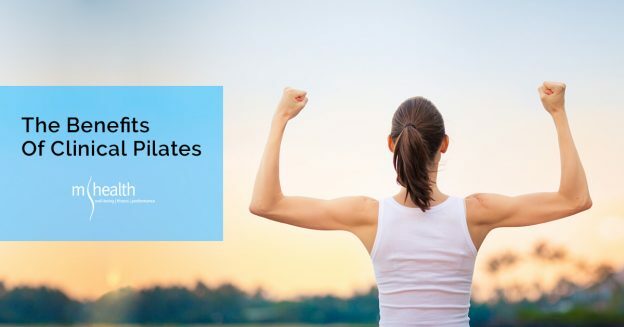 Today, you will come across several health centres offering pilates, and it is vital to know some of the benefits of this treatment routine so that you have one thing that can keep you away from medicines. These are programs that are aimed at conditioning the body and reprogramming it in a bid to restore it to its original wellbeing. They can also be used to improve one’s fitness and performance in physical activities. It is focused on using controlled, precise and seamless movements to readjust the body and improve muscle stability and flexibility from the inside out. The physical fitness system of pilates was developed back in the 20th century by an expert called Joseph Pilates. It was initially named Contrology, and it has grown popular over the years as seen from how it is being practised in nations all over the world. From the early description of pilates, Joseph stated it as a method of controlled movements that should appear as a workout and not therapy. It focuses on the powerhouse of the body, which are the muscles of the abdomen, low back and hips, things which are thought to be vital to one’s stability. Over the years, instructors have redefined the fantastic principles governing pilates and made them suitable for the treatment of some medical conditions we suffer from. When you contact an instructor, you will be taken through two major types of pilates. While the routines might vary widely, they can all be categorised in two ways. The first type of clinical pilates are the mat based ones. These are a series of exercise that are done with your body on the floor, with the gravity and your body weight offering much of the resistance. The primary role of these types of pilates is to work on the muscles that lie deep in your body and help your body to improve balance, posture and coordination. The other type of clinical pilates are the equipment-based ones. These involve the use of specialized equipment and allows you to work against machine resistance. Some routines might use the conventional dumbbells and any other equipment that will help to offer the desired resistance to the muscles. For a long time, strength training has been known as the primary way of increasing bone density, but pilates can also help this cause. Bones are similar to muscles in that they are both dynamic tissues and they respond to exercises that involve weight bearing. These exercises entail the muscle being pulled from the bone, something that brings about some tension and makes them stronger. When you search on the internet, you will come across endless ways to lose weight. Healthily losing weight is not easy, and pilates can come in handy. It has been found out that the average pilates workout sessions can help one to lose about four to eight calories every minute depending on how intense the exercise is. If you are on a weight loss program, consider doing some moderately intense work out sessions a couple of days every week can really help you to expedite your program. Most of the regular exercise we do today focus on the same set of muscles. This is not good since this leads to the development of highly differentiated muscles in that the weak ones become weaker and the strong ones remain stronger. Such differentiation is undesirable since it is the primary cause of muscular imbalance, something that can get worse and cause injuries and severe back pains. Pilates conditions the entire body evenly and no group of muscles is over trained or undertrained. This makes your body balanced and reduces the risk of getting injuries while helping you enjoy your physical activities and performance. Due to the increased popularity of pilates, it is normal to see an increased number of health centres offering it and the instructors available to you. Well, note that not all of them and you need to ensure that you find a reliable medical centre and instructor. Clinical pilates will not be beneficial to your body if you are instructed in the wrong way and you would be wasting your money and effort. If you are lost for options, try looking at Mhealth.com.au and check out some of the amazing pilates they have in store for you. They have been offering these services for a long time in Melbourne and you assured of dealing with an experienced partner when you opt for them. This entry was posted in Tips Physiotherapy & Osteopathy Melbourne on September 18, 2018 by MHEALTH.